This is short problem set to be used in class. 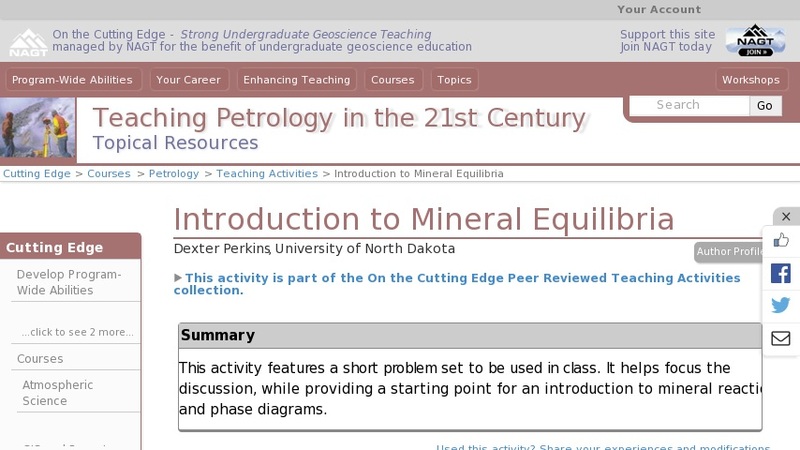 It helps focus discussion, while providing a starting point for discussing mineral reactions and phase diagrams. Students are exposed to ternary composition diagrams and to phase diagrams. They are also introduced to the phase rule, although in quite a superficial way.